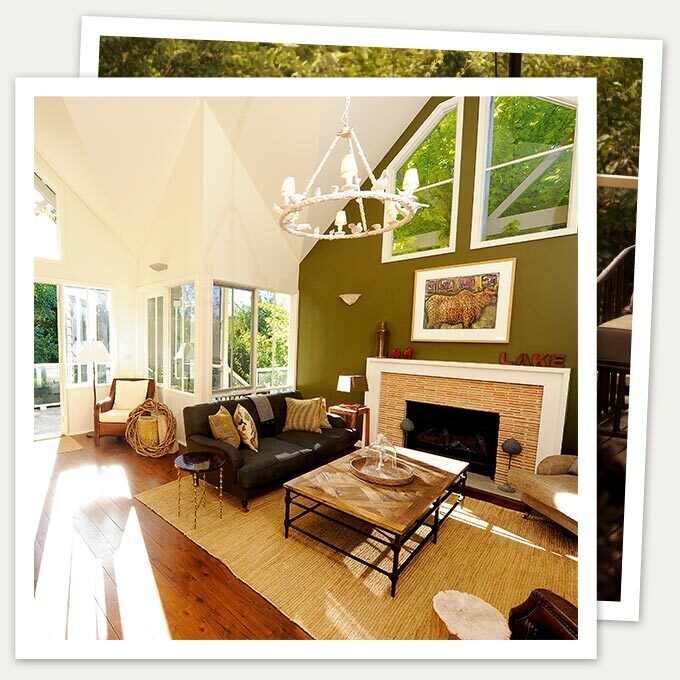 Lake House is a tranquil retreat situated in 6 acres of abundant lake front gardens . Thirty-three rooms, suites and villas cascade down to the foreshore providing guests with immediate access to the lake shore and the Wombat State Forest beyond. Full sized tennis court, wine tastings, cooking classes, dining at the iconic restaurant or indulging at the award winning spa are all available onsite. Many other pleasurable entertaining and educational experiences are available nearby. 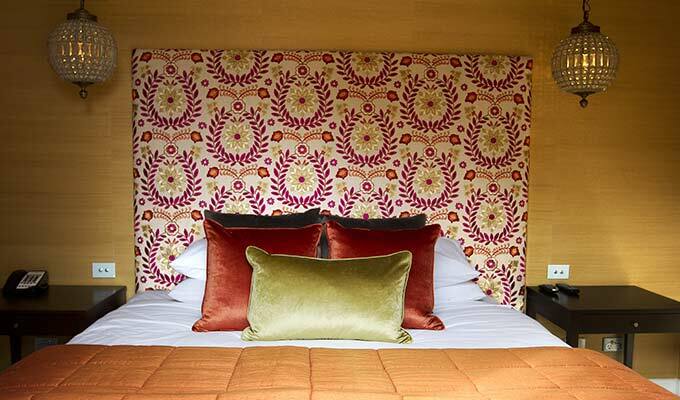 Rooms are individually furnished and decorated with limited edition prints and original canvases from co-owner and highly regarded artist Allan Wolf-Tasker as well as those of other artists from this culturally rich region. Whilst providing a palpable sense of real ‘country retreat’, necessities of civilization are not neglected. Cross property Wi Fi, in room flat screens, ipod docks, espresso machines and delivery of a daily newspaper are all on hand. Room service? Of course! Lodge Studios: Lodge Studios are located in the original ‘country house’. 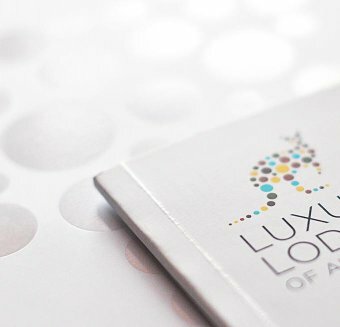 Individually configured and decorated, each cosy Studio includes luxurious bathroom with European style bath & shower or large contemporary shower, walk in robe and outdoor lounge area with garden or courtyard views. 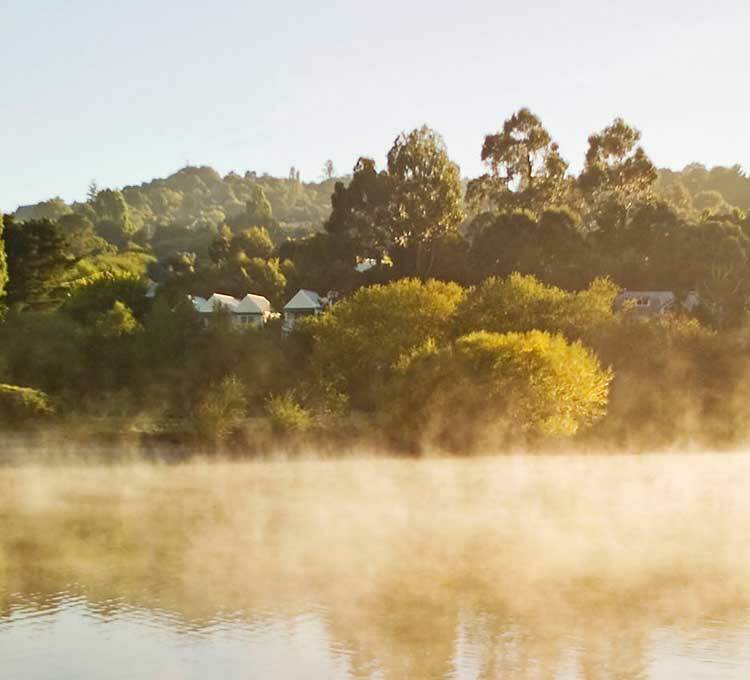 Waterfront Rooms: Positioned facing the foreshore, these have balconies overlooking Lake Daylesford and are furnished with king beds comfortable sofa and easy chair. Their contemporary ensuites complete with heated floors, include a dual shower. Lodge Suites: Spacious and luxurious Lodge Suites are all individually decorated and designed with contemporary country interiors. No one is exactly the same. Each Lodge Suite features an impressive eggshell finished bookshelf heaving with a carefully crafted collection of books & curiosities. Waterfront Suites: Accessed by a bridge over the cool fern gully these are ideal for an indulgent overnight escape or a blissful extended stay. Spacious, with large balconies or courtyards overlooking the lagoon and the lake shore, each suite is furnished with chic contemporary country interiors, king or twin bed, comfortable lounge and dining/ desk set up. There is a walk in robe, a bar area and in the ensuite, a dual shower, dual spa bath and heated floors. The Sutton Suite: Spacious and luxurious Suite featuring plush & contemporary country interiors with private sun drenched courtyard. The large stone finished bathroom has a deep ceramic tub, dual vanity and separate shower; there is also a walk in robe and dressing room. The Retreat: A private luxe “retreat” of two villas situated behind a discreet gate. Amongst its own gardens and with direct access to the lake foreshore, the Retreat offers the opportunity for a more private getaway within the fabled Lake House grounds. Two sumptuously furnished bedrooms, fireside lounging areas, two luxury bathroom /dressing rooms and fully equipped kitchen and bar areas. And in case you’re not inclined to move a muscle – the Retreat’s butler is available on tap. The style of the Retreat at Lake House is one of refreshingly fresh and charming quirkiness featuring hand selected pieces from Olly of San Francisco. Whilst style abounds, creature comforts are never neglected. All the essentials of a luxe fit out including heated bathroom floors, wifi, espresso machines and good sound systems are all provided. Suites are enriched with artworks by co-owner Allan Wolf-Tasker and other artists from this culturally rich region. 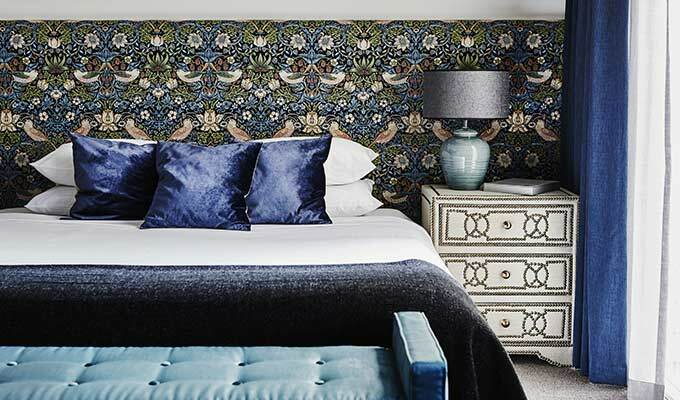 Private, luxe, quirky and extremely comfortable - it is the extra artistic and character touches that make the Retreat at Lake House 'the' luxury haven at Victoria's foodie mecca.